Final day of Mara Hoffman AND final day of snaps from our trip :( . I don't want it to be overrrrr. But I did save the best for last (in my opinion). I loved wearing this dress and all of these colors. The material was so smooth and easy to wear, as I've found all of Mara Hoffman's pieces to be. The shoes and the clutch really tied well with the dress and the earrings seemed to give it that extra oomph. I miss the warm weather more than anything but at least I can reminisce one more day about the trip. I'm also really going to miss those beach waves. Sure my hair looks like a semi mess in picture number six, but it was windy, okay? I also have already lost my tan #sadface. I think I came back and my skin was so shocked by the cold it went white. So if that's not depressing, I don't know what is. 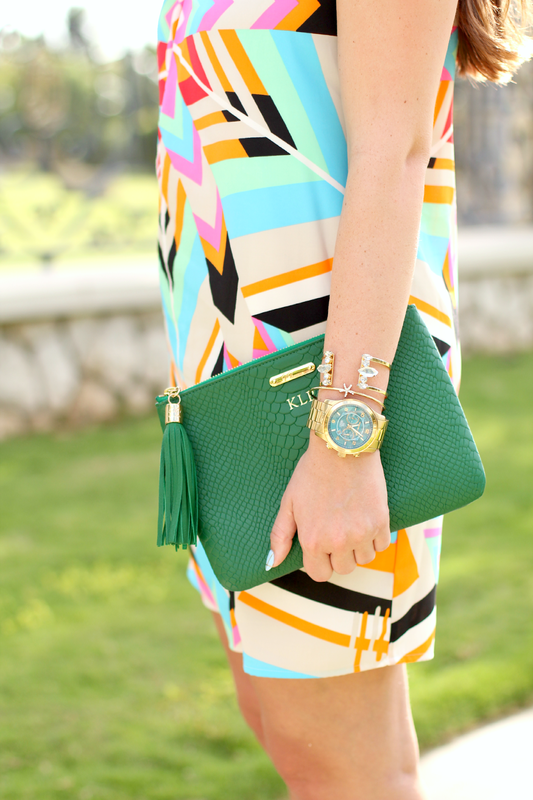 Loving that dress and NEEDING a tropical vacation! Check out pics from Boca Raton, FL on my blog! Love the colors in this post- it's making me wish Spring would hurry up!